When we first moved in to this house, I had no idea what to do with certain spaces in our home. We had to actually “live” in our home for awhile before we figured out how we were going to utilize each of our spaces. For us, living in the space came first and then I tried to mesh how we lived in the space with how I wanted the space to visually look. On today’s podast, Living in a Space and Meshing that with How We Want Our Space to Look, Suzannah and I tackle the age-old question of decorating a beautiful home vs. creating a comfortable home that fits the way you live. In our conversion today, we are chatting about how to actually determine how to live in your space. Sometimes, knowing that a TV has to go in a space will determine how a space has to be arranged. Other times, knowing that the season of life you are in can determine how and when you are using your spaces plays a big role in how happy you are with a space. For me, that is so true with our playroom. I know that my kiddo isn’t going to be young for much longer. So, right now, we have this great space for art and for swinging (hello, indoor swing) and for his friends to come over to play. Eventually though, this room will be a welcoming library (that’s my dream anyways) and eventually, I’ll be happy with the design of this room. But, right now… we are living life in this room and utilizing it how it fits our family. This is just one of the things that Suzannah and I chat about and, hopefully, this will resonate with you! 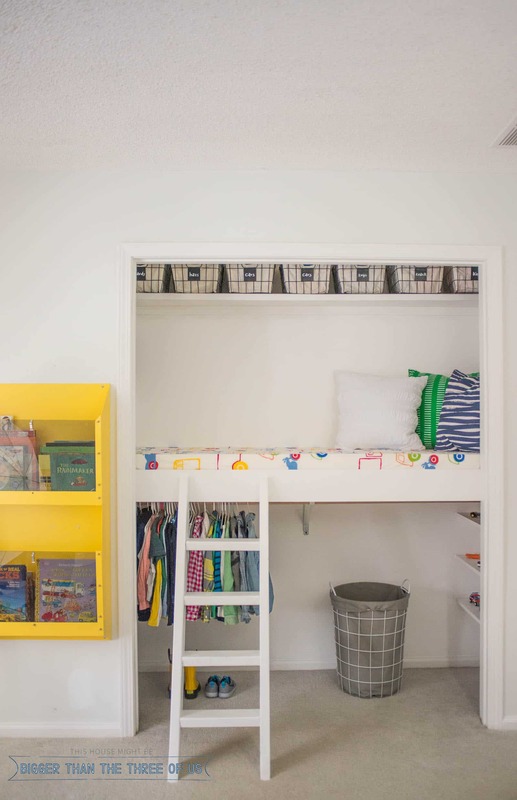 Another challenge we chat about is living in smaller vs. larger spaces. Both types of spaces can cause us to scratch our heads in confusion; how to figure out how we want our spaces to look and how we live in each of those spaces. We also cover issues like hiding cords, storing toys, dealing with lots of books, and more! If you’ve been following my blog for any amount of time, then you probably know that I’m a crazy person when it comes to cord clutter and cord control. Ultimately, we spend lots of time determining how we want our spaces to look but Suzannah and I are saying that its better to determine the purpose of a space in your house before decorating it. Write a review of the show to be entered in the $250 Framebridge giveaway! Ends 2/13, continental US only. You can find us on our blogs or connect with each of us on Instagram. Suzannah is @suzannahstanley and Ashley is @biggerthanthethreeofus. We’d love to hear your questions and thoughts! Join our Facebook group here and email us at yourhomestorypodcast@gmail.com.